Amelie says. “On a more serious note, a 2008 report by the European Transport Safety Council goes into the issue in a lot more detail. It points out that everything so far (vibro saddles excepted) has been developed with cars and vans in mind. 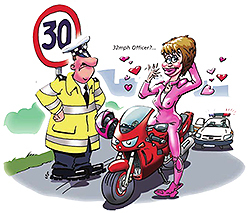 It goes on to stress that simply transferring this technology to a motorcycle could have very adverse consequences on safety”. The article adds, “of course this project is free to investigate whatever it likes but it is however a pity to learn that despite advice from these trainers (…), Saferider is pursuing the idea of throttle related ISA (Intelligent Speed Adaption) by simply transferring ideas developed for cars and vans”. 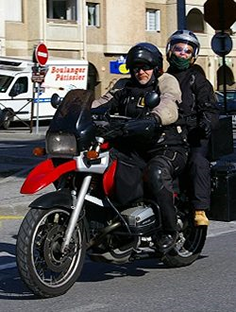 The article also mentions that training experts gave preliminary advice to the SAFERIDER project, whose partners include the Federation of European Motorcyclists Associations (FEMA) of which the BMF (British Motorcyclists Federation) and MAG (Motorcycle Action Group UK) are both members. Right To Ride’s Trevor Baird says, “We have been writing to these organisations over the last three months regarding this fundamental issue of rider control and have not received any positive feedback on what they intend to do to stop the development of this system”. However in the latest June-July newsletter FEMA has commented on an EU Directive which is establishing a framework for the development of Intelligent Transport Systems (ITS) in Europe. The article ends “FEMA eagerly awaits the publication of the final Directive in the official journal, in order to give you a full review and analysis in our next edition”. (NB: The ITS Directive was published on 6th August). At Right To Ride we have to ask, where is the fight for the safety of riders? When will its best weapon of plain common sense be deployed? Urgency is required, because the SAFERIDER project ends in November when the final review will be presented to the EU Commission, when the deliverables (results) of the project, including the force feedback throttle will be seeking the EU Commission’s approval and support. Meanwhile at Right To Ride we have written directly and presented a paper to the EU Commission Project Officer and Directors of the SAFERIDER project, setting out the reasons why we consider the Force Feedback Throttle dangerous. 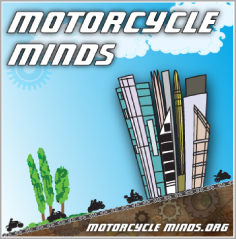 Federation of European Motorcyclists Associations (FEMA) is made up of riders organization across Europe from Finland through to Norway, Netherlands, France, Spain, across to Italy, Germany, to Greece and as far away as Iceland. 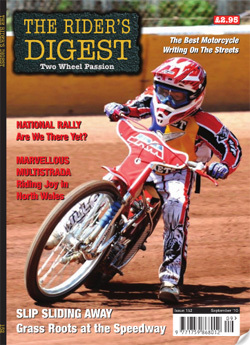 You can get the Digest delivered to your door through their subscription service.